Martin O’Neill is hoping Michael Dawson could return before the end of the season, revealing in Thursday’s pre-match press conference that the Nottingham Forest centre-back is nearly “ready to step in”. Dawson has been out of action since December 2018 with a hamstring injury but is nearing a return. The 35-year-old suffered a setback in his recovery earlier in the season and won’t be rushed back into the first-team as a result. 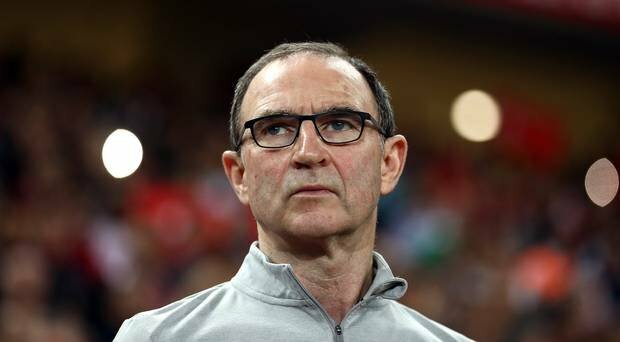 With Forest’s hopes of promotion being all but dead, there’s no need for O’Neill to gamble on his fitness by bringing him back if he’s not 100%. The Reds manager says he plans to be cautious with Dawson as a result. O’Neill told Nottinghamshire Live: “Dawson, I see Michael running around the training ground and I say hello to him every morning. But it is about time that he came and joined in with the rest of us now. I am joking, of course. But overall he wants to be absolutely and utterly right. Dawson has made 13 appearances in all competitions this season, 10 of which have come in the Championship. He’s made 56 clearances, won 30 aerial duels (60%), averaging 36 passes-per-game with 76% accuracy and has only given away four fouls. “When I first arrived, he was trying to impress a new manager coming in; it was his first day back having been out for six weeks. He pulled his hamstring again in that session. He is not getting any younger, so we need to take a few precautions with him and make sure he is right. “But he looks as if he is just about ready to step in. Who knows, between now and the end of the season, he might well get involved.” Dawson’s last appearance for Forest was against Ipswich Town on December 1. He was hooked off after 79 minutes and hasn’t featured since. The defender’s injury forced O’Neill to sign Alexander Milosevic from AIK, Yohan Benalouane from Leicester City and Molla Wague from Udinese in the January transfer window. Forest will have only four games remaining after Saturday’s meeting with Blackburn Rovers, so Dawson is running out of time to make a return.